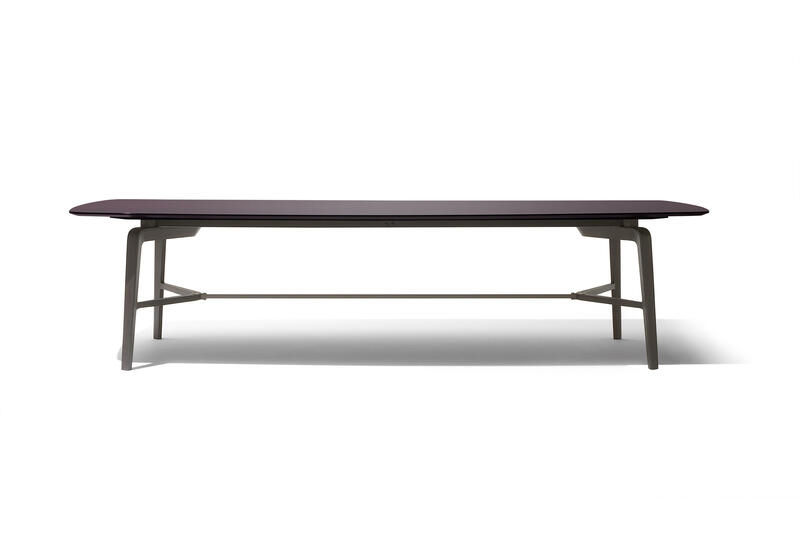 Rectangular tables of 240 and 300 cm. 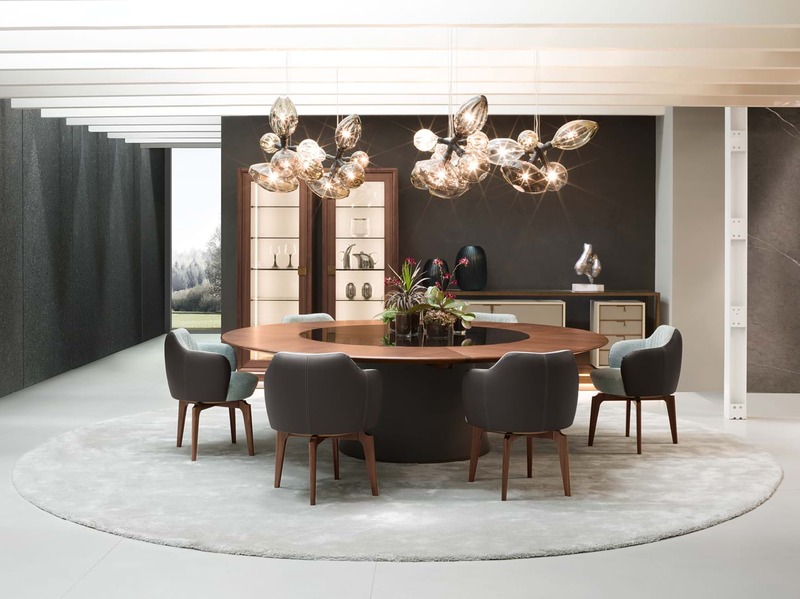 The structure is in solid, mdf and veneer in walnut canaletto wood, while the top profile, the crossbar under the top and the inserts of the columns are only in solid wood. 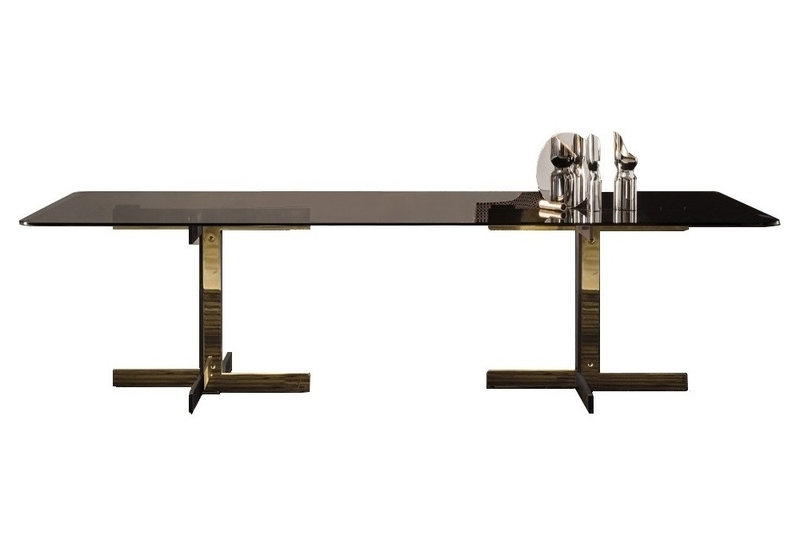 The top can have an insert in white onyx or an insert made up of a 2-tray kit for the 240 cm table or a 3-tray kit for the 300 cm table, in cold glass printed in stone gray colour. These trays are fixed on a panel in walnut canaletto and can be manually turned upside down to have the top totally plain. 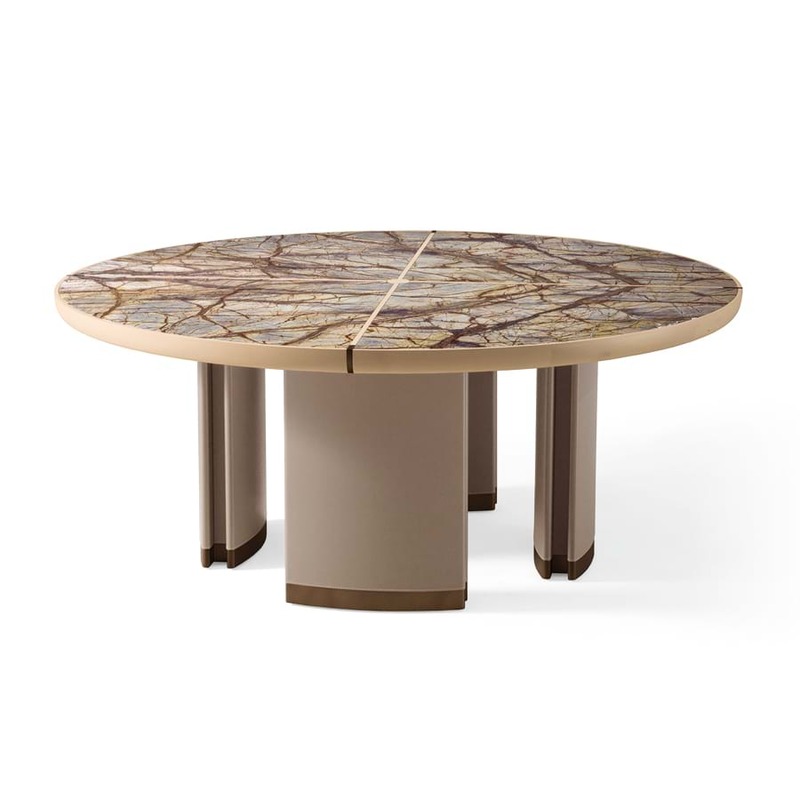 The columns are covered with leather with the metal base profile painted in a bronze colour. 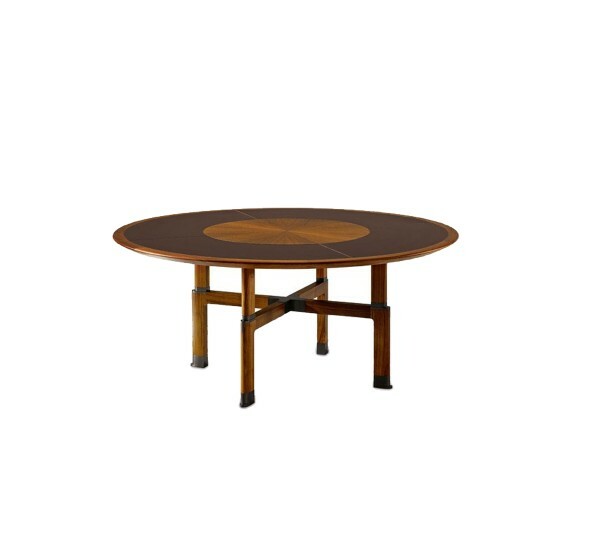 Round table with diameter of 180, 200 and 250 cm. 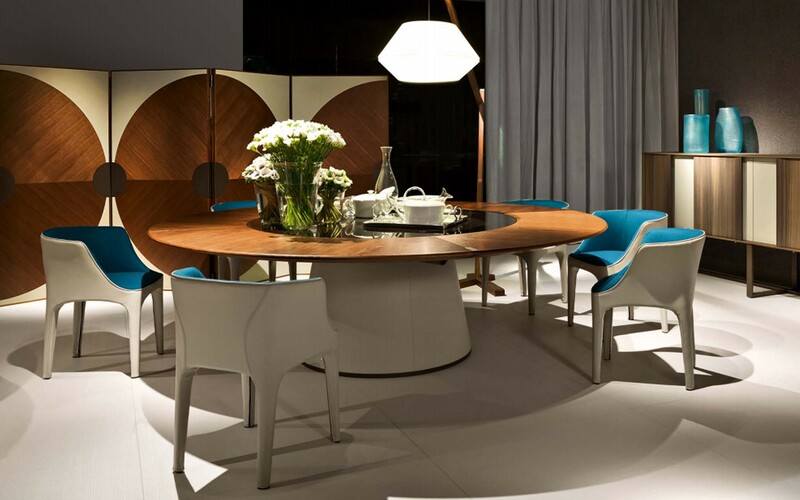 The top structure is in solid, mdf and veneer in walnut canaletto wood, while the top profile is in solid wood. 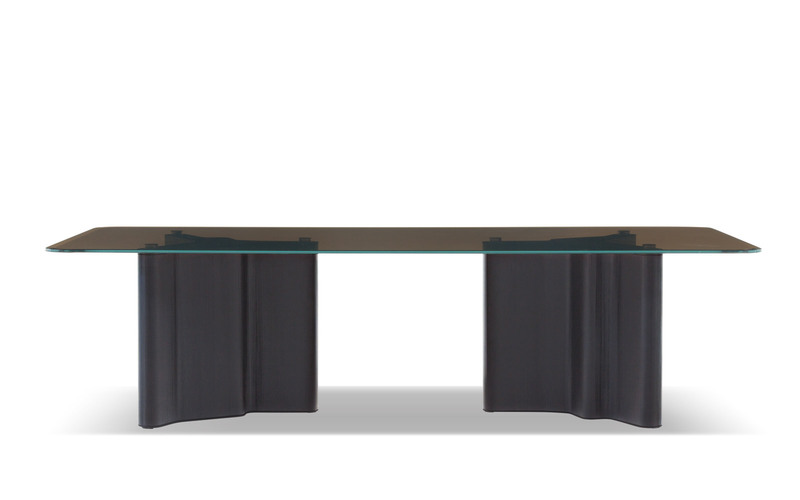 The lazy Susan insert is in glacé crystal glass. 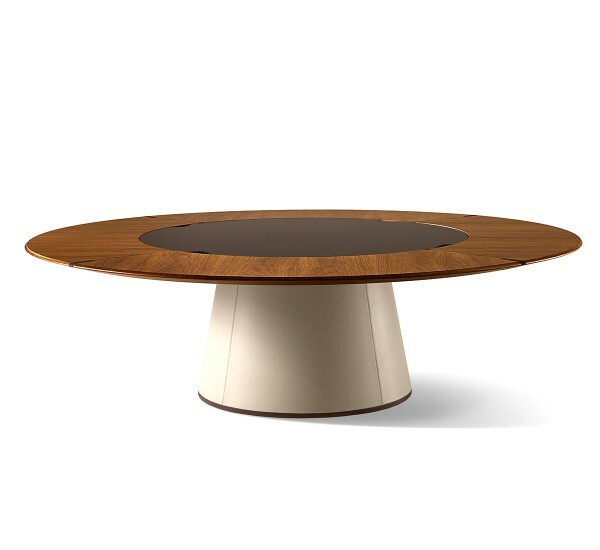 The central column is covered with leather and the base, as well as the top inserts, are in metal painted in a bronze colour.